The Lochnagar Crater has been preserved and maintained to help heal the wounds of war. We hold two annual remembrance ceremonies in July and November each year and we always seek to closely involve the local village as well as encouraging visitors from abroad. At the first July 1st Ceremony in 1978 there were two of us, the following year there were four, and by 2014 it had grown to over 4,000 people. Yet both our remembrance ceremonies (July 1st and November 11th) have always had the same ethical code – that the only VIPs were the veterans who regularly attended in the early years. Today at Lochnagar everyone is included and everyone takes part. In July there are approximately 75 wreaths and at the end of the hour-long, bi-lingual Ceremony everyone is offered a handful of poppy and cornflower petals to scatter where they wish. 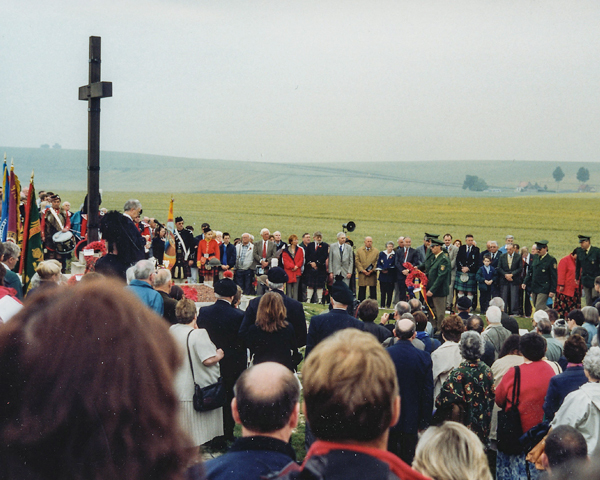 Then the congregation links hands around the rim while the Last Post is played from within the Crater. The November Ceremony is smaller and more informal (although 2018 being a centenary year something a little more special is planned). 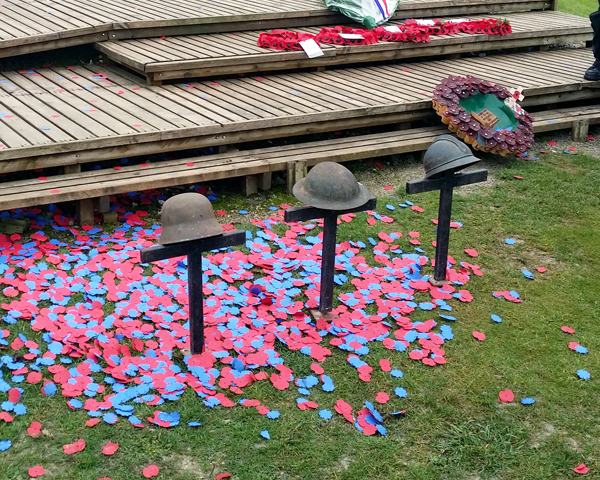 These Ceremonies (especially July 1st) take many weeks of planning and preparation with frantic days beforehand by our experienced team of volunteers preparing the wreath-laying area and effective speaker system to reach all four corners of the site. On the day itself many of us are at the Crater by 3am preparing for the arrival of the first visitors by dawn. On both July 1st and November 11th, invariably with many nations represented, we consider it vital that all are warmly welcomed, included and cared for, so all can share in this remarkable spirit of international remembrance, fellowship and reconciliation. 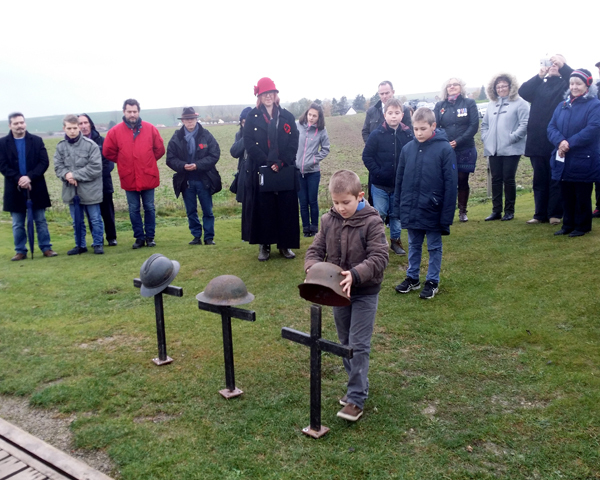 Over the years our annual Ceremony on the 1st of July has grown and developed, attracting up to 1,500 people to the tiny French village of La Boisselle. The ‘Friends’ who can make the journey over, spend a few days ‘gardening’, keeping the foliage down to ensure that the Crater looks at its best for 1st July. At Lochnagar, the Armistice Day commemorations on the 11th specifically honour all those who fell in the Great War. But with the launch of the new Foundation, we are increasingly mindful of the suffering caused by subsequent and current conflicts around the world.